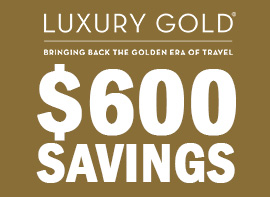 What an awesome opportunity it was to sail aboard the luxurious Holland America Eurodam. We sailed the Alaska Inside Passage with endless miles of untouched wilderness. The Eurodam is a very elegant midsized ship with lots to offer. 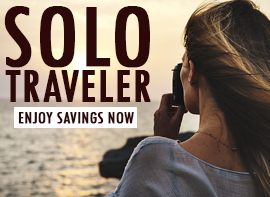 This ship is beautiful with very comfortable beds and the staterooms are immaculate. 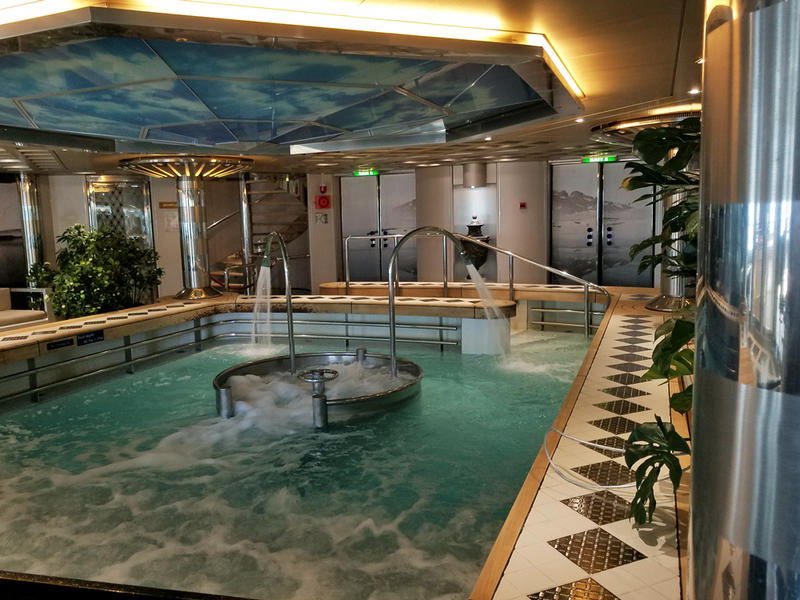 Sipping coffee in the Crow’s nest as you read your favorite book or use the interactive screens to plan you next cruise as good as it gets! 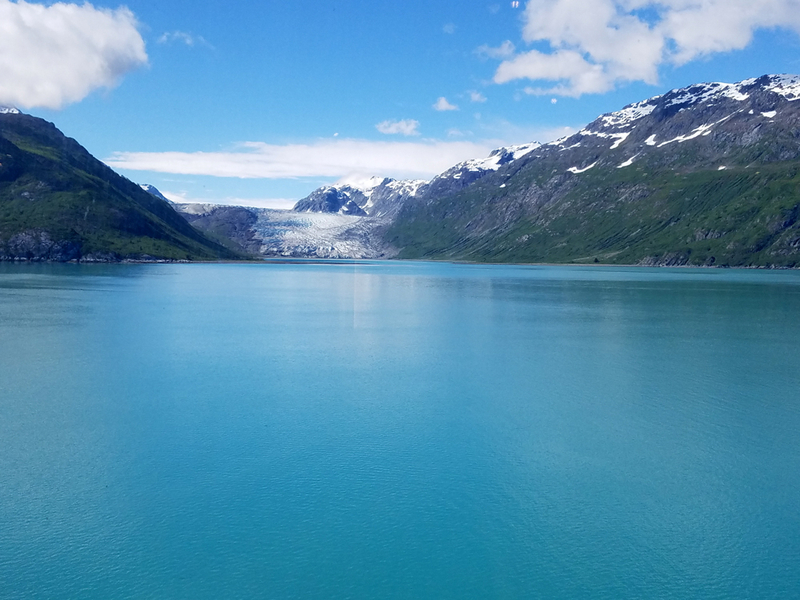 With a balcony stateroom, we were able to view sea life while sitting on the balcony and also view Margerie Glacier while cruising through Glacier Bay National Park. I’ve sailed with several other cruise lines and this would be my first Alaska cruise sailing with the Holland America line. Although 10 years ago, I spent 5 days on a land vacation in Anchorage, Alaska, I was really looking forward to seeing more of the last frontier. I was not disappointed. Ports of call included Juneau, Sitka, Ketchikan Alaska and Victoria, Canada. 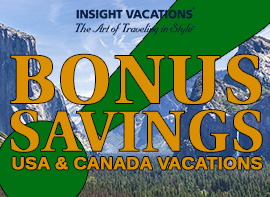 Whether walking along the seaside towns or cruising along Glacier Bay National Park. We found that this sailing had so much to offer while aboard the ship. Actually you might say, the ship was a cultural experience all of its own. There were more than 300 children aboard our sailing which really pointed out how multi-generations are really loving the Holland American cruise line. The BB Kings Club was filled nightly the piano players in the Billboard Club. They had everyone singing, swaying and having the fun. 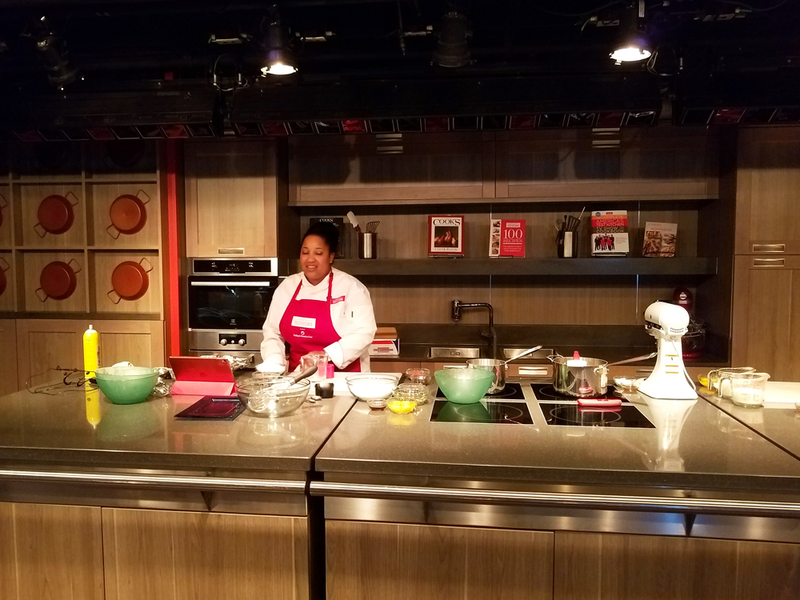 We loved the Test Kitchen on our Alaska cruise, where you can learn new recipes or how to perfect our cooking techniques on every day meals. On this particular day we learned how to identity different types of Salmon and several different ways to prepare Salmon. One of the best ways to start each day was to spend time relaxing in the thermal pool! 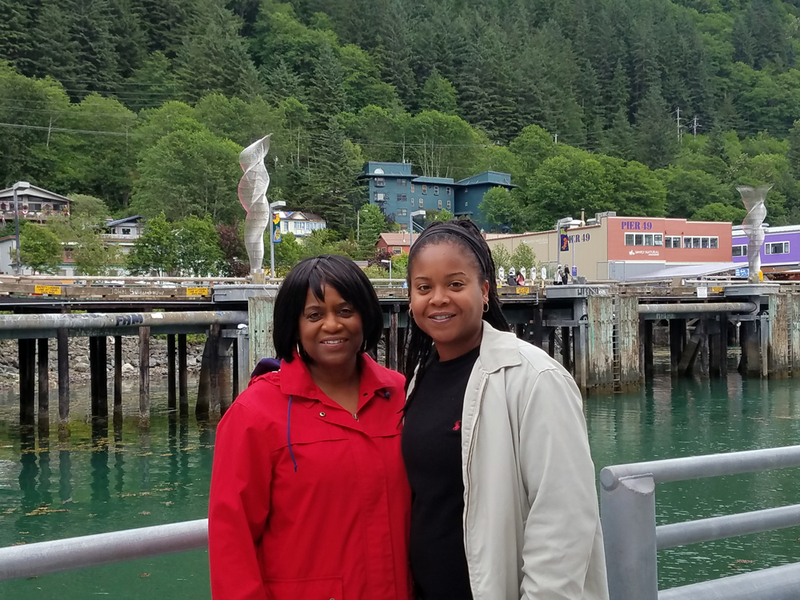 Day 1: Our first port of call during our Alaska cruise was Juneau, Alaska. 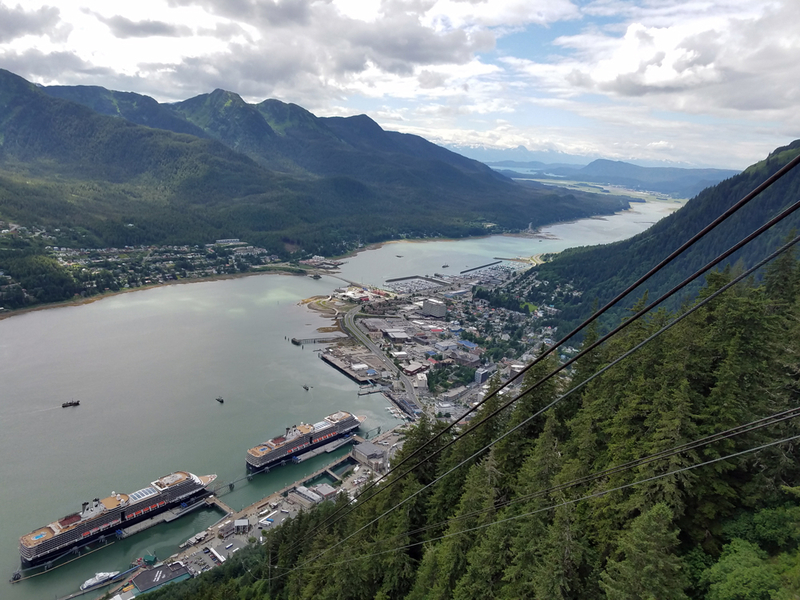 Stepping off the ship and walking into downtown Juneau is about as picturesque as it can be. Clean, fresh air and untamed lush trees lining the mountainsides. With lots of tourist lining the streets and waiting for the Mount Roberts Tramway, our strategy was to walk as far as we could down Main Street in one direction before heading back into town to take our turn on riding the Mount Roberts Tramway. 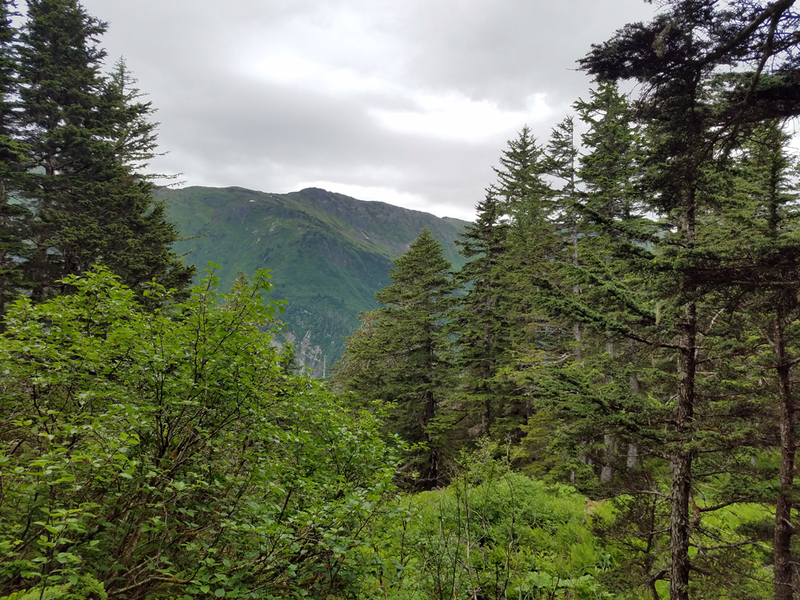 While on Mount Roberts Mountain we visited the Chilkat Theater. 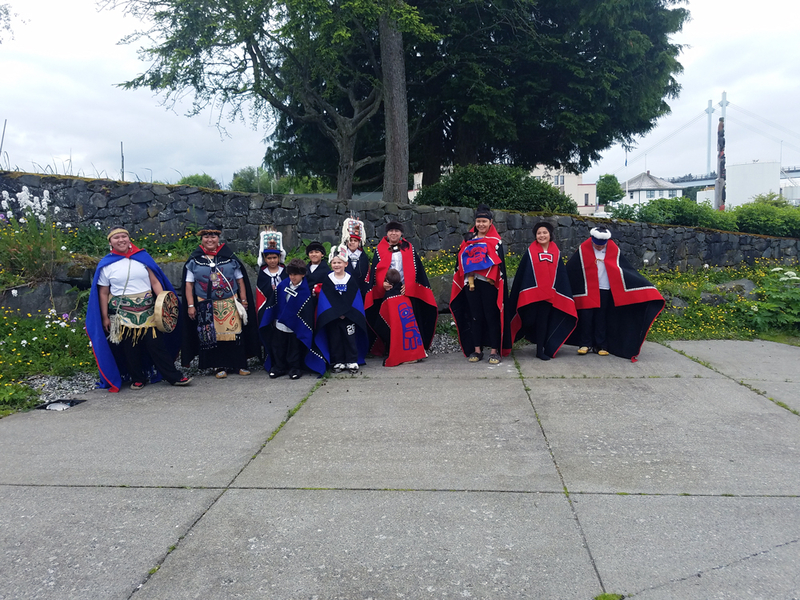 We watched an 18 minute film on Tlingit (pronounced – Sheetʼká) history and culture. 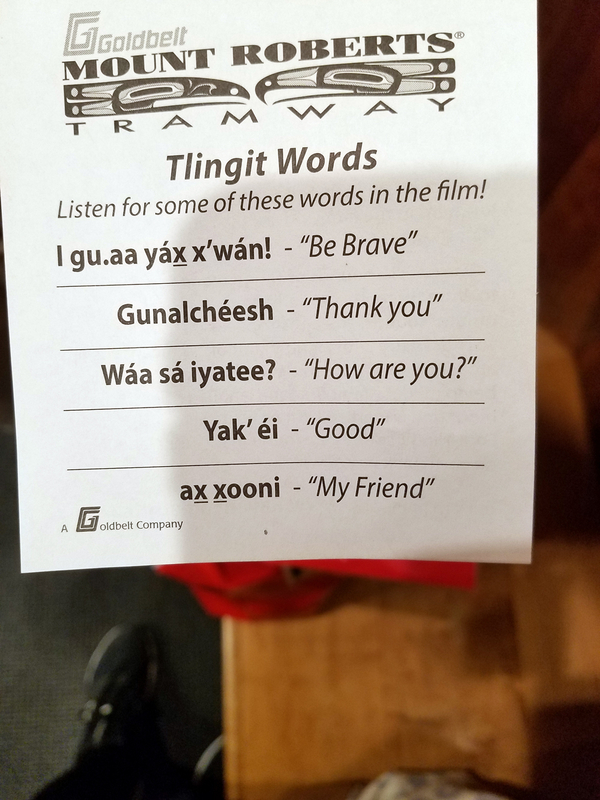 You even get to try speaking the language as well. Most informative and very educational. After watching the film we decided to get a bite to eat at the Timberline Atop Mount Roberts Restaurant. 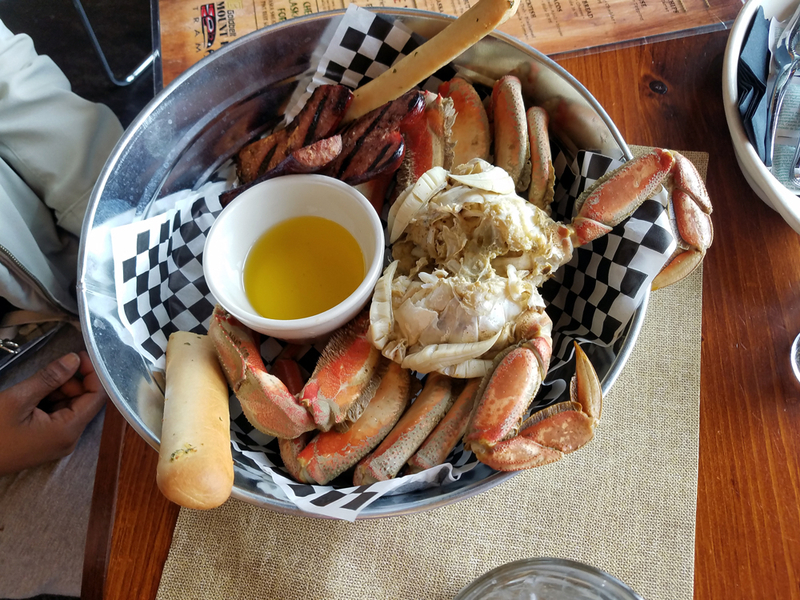 Dungeness Crabs are not in short supply in Alaska. Burgers made of Bison, Reindeer sausage and Duck Bacon. The food was adequately priced for that region. Great food with a fantastic view. After our meal, we decided take advantage of the 2.5 mile walking trail down to the basin of Mount Roberts. With the cool weather, clean air and breathtaking views it makes for good time to get a little exercise in as well. 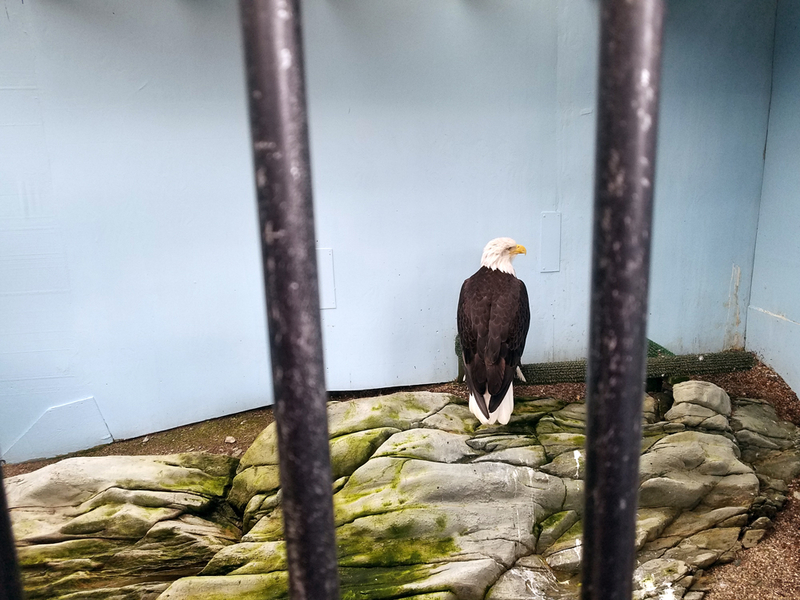 We also stopped at the Nature Center to see the live eagle on display. Our third day was cruising Glacier Bay National Park and Preserve. The only sound you could hear was the peaceful sound of the water. The water was so calm it was as though the ship was simply gliding through the water. Breathtaking! This view of Margerie Glacier was taken while standing on our balcony. 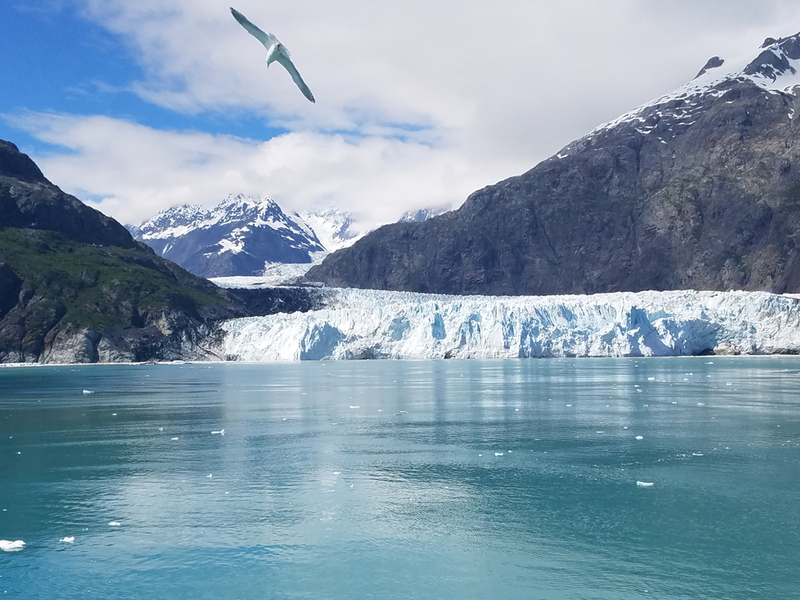 We found out only two ships per day is allowed into the Glacier Bay National Park for preservation. 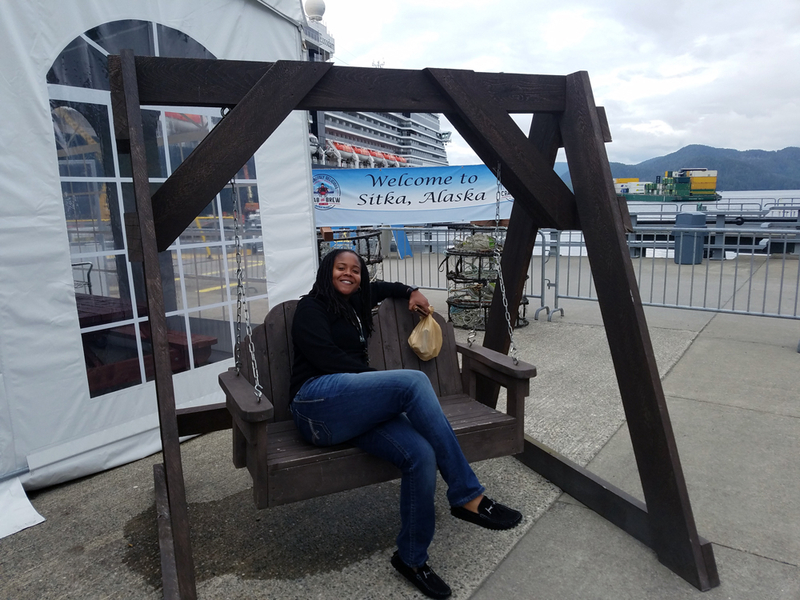 Our third stop was Sitka Alaska. The complimentary bus met us at the pier and transported us into town. The 15 minute ride gave you an opportunity to see the small town. St. Michael’s Orthodox Cathedral with an onion shaped dome sits in the center of town. Having been to Alaska in the past and spent a great deal of time whale watching and exploring the glaciers, we decided to go off the beaten path. 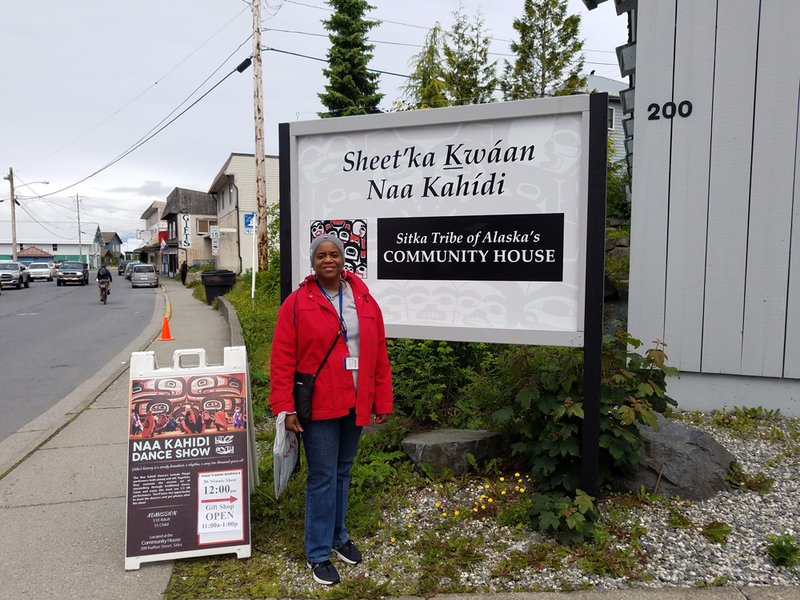 We visited the Sitka Tribe of Alaska’s Community House. 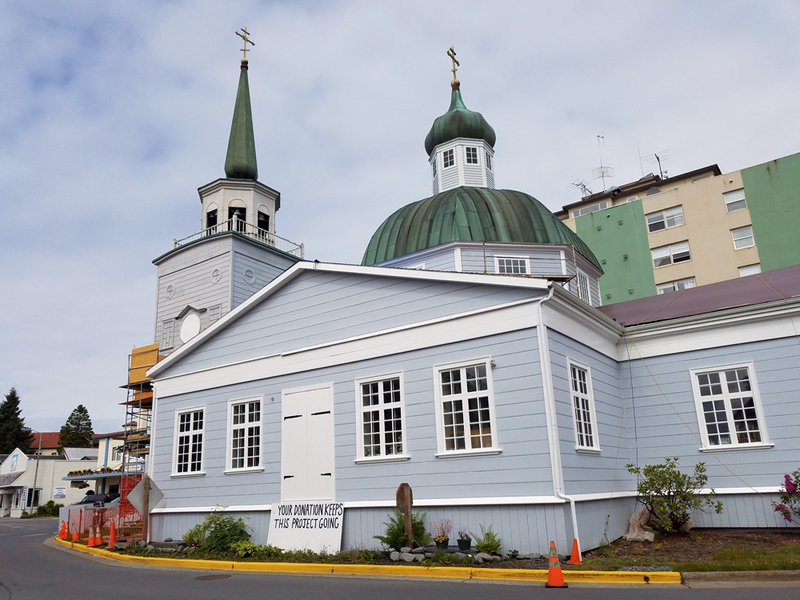 It sits just across from Totem Square and Alaska Pioneer Home. There was a 30 minute narrative and dance performed by multi-generational performers from Tlinket tribe. We enjoyed seeing how they are training their youth from very early ages about their culture so that they are able to carry on traditions. Terrific show to watch. Very colorful. After the show all the native dancers came out and allowed tourists to photograph them. 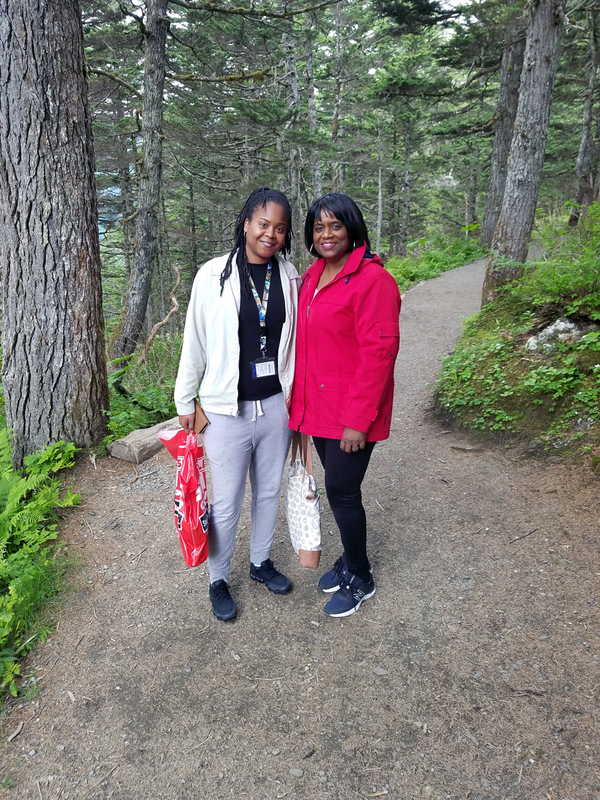 Our fourth port of call during our Alaska cruise was Ketchikan, Alaska. Did you know that Ketchikan was the Salmon Capital of the World? Not only is it the Salmon Capital of the World, it is also known for feisty salmon, idyllic scenery and rich Alaska Native Culture. Very quaint and picturesque community. The weather was a bit rainy and cold so we didn’t stay out very long. 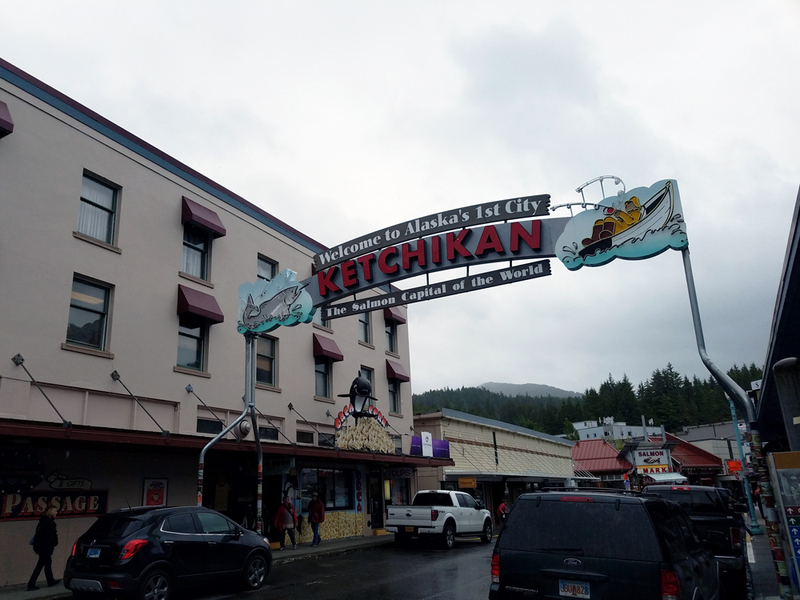 However, we did take the opportunity to walk through the streets of downtown Ketchikan and check out a couple of shops. 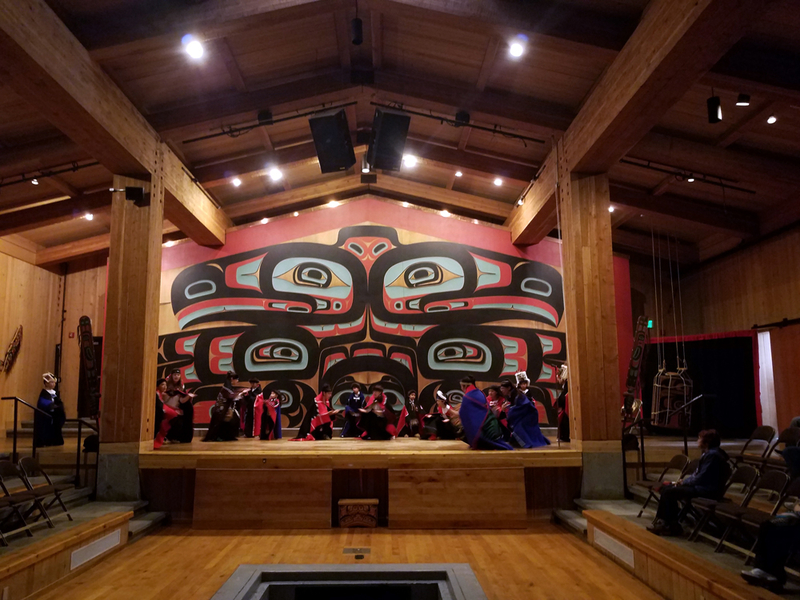 Being that Ketchican is home to a large number of artisits, we found the Alaska Galleries, one of Ketchicans top 10 Art Galleries. 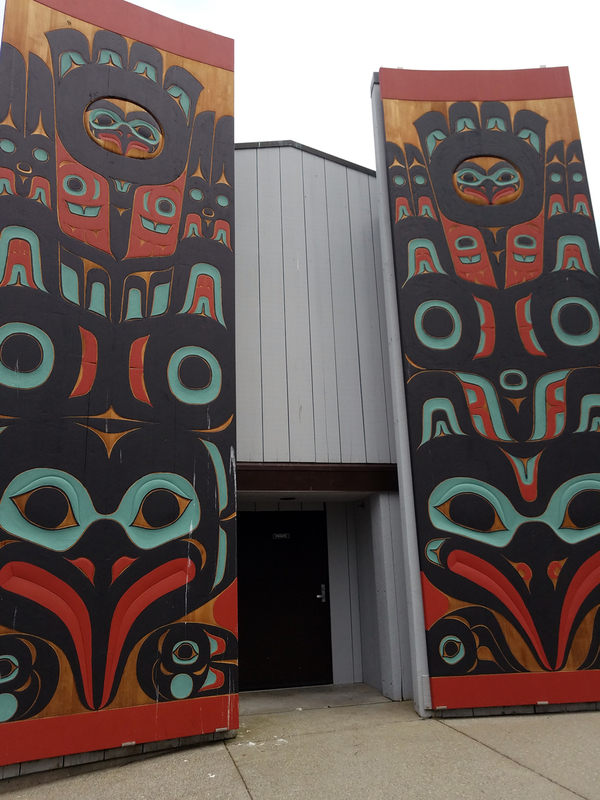 Here, you find Alaska Art as well as Alaska Native art. Beautiful collection. Their collection included excellent work by locals and Ulu Knives crafted by Wayne Hunt. Our final stop was in British Columbia, Canada. Since we were only in port for a very short period of time we decided to indulge in Asian Cuisine at the Tamara Restaurant. If you love Asian food, you do want to be sure and visit this restaurant while about the Eurodam. 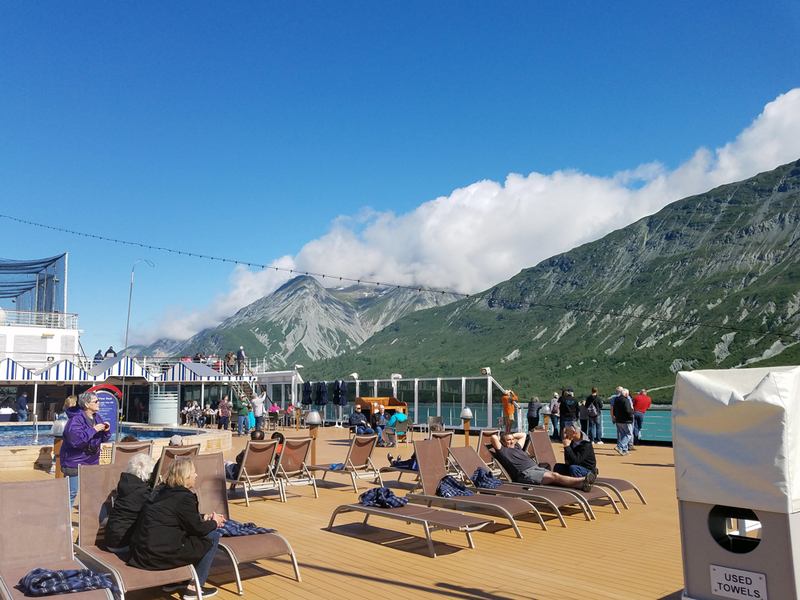 This Alaska cruise is a cruise that every family should consider. There is something for everyone. One of my best cruises ever!